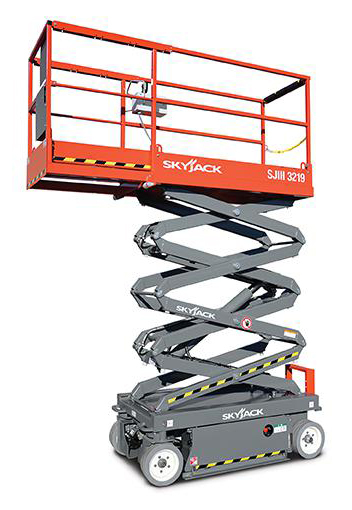 Scissor Lifts are perfect for inside jobs where work space, lifting capacity and maneuverability are essential. These lifts are ideal when moving over smooth or solid ground and work surfaces. 15 foot scissor lifts are best used in situations when 19 foot lifts are too wide. With a narrow platform and lower weight these lifts are perfect for indoor jobs like hotels. We have other scissor lift sizes as well! Contact us today for a quote on your project!